31 in 1 Screwdriver Set contains 1 handle and 30 pieces screwdriver bits. Bits of the Precision Screw driver Set are made of sturdy steel with precision-machined. Magnetic tip is easy and tight to adsorb bits into the handle. Rubber and plastic grip handle for comfortable use and a sure grip. Please refer to picture for detailed types of insert bits. 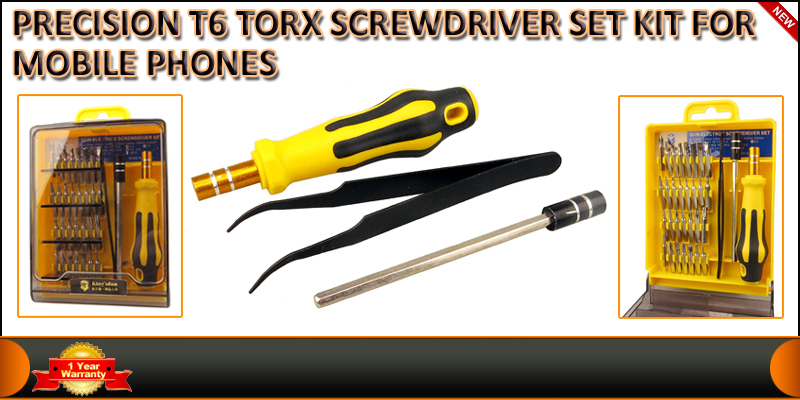 1 x33 in 1 Precision TorxScrewdriver Set Kit For Mobile Phones.